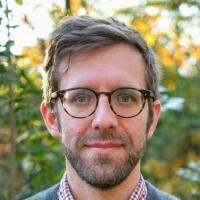 James Chappel is the Hunt Family Assistant Professor of History at Duke University. His first book will appear from Harvard University Press in the Spring of 2018: "Catholic Modern: The Challenge of Totalitarianism and the Remaking of the Church." The book is primarily an intellectual history of European Catholics between the 1920s and 1960s, focusing on their conceptualization of the family, the economy, and the state. It argues that the experience of the 1930s were a watershed in the history of the Church, as the twin threats of fascism and (especially) Communism pushed Catholic thinkers towards a wholly renovated form of social Catholic ethics. Essentially, Catholics ceased struggling against modernity, and began struggling for Catholic forms of modernity -- as they do today. He is at work on two further projects. The first is provisionally entitled "Old Volk: The Invention of Old Age in Modern Germany." Building on recent interdisciplinary investigations into the relationship between political economy and the family, this book ponders the invention of "old age" as a category of cultural life, social-scientific expertise, and policymaking. The second is provisionally entitled "The Second Reformation: Global Christianity and the Logic of Sanctuary, 1960-1980." Building on a set of case studies in the United States, Latin America, and Europe, this book integrates Christianity into the rapidly-expanding literature on the global 1960s and 1970s, showing how the New Left and the New Right both capitalized on capitalist expansion, countercultural experiment, and decolonization. For more information, visit his personal website. I study the intellectual, political, and religious history of modern Europe. I am currently completing a manuscript entitled "The Struggle for Europe's Soul: Catholic Political Economy and the Salvation of Democracy, 1920-1960" (forthcoming from Harvard University Press). This work studies Catholic social-economic thought as a transnational whole, arguing that it had massive and overlooked impact on the shape of post-1945 Europe, where its influence was mediated through the new Christian Democratic parties that swept to power across the continent. I am also working, as a second project, on the institutional and social-scientific consolidation of the family in post-1945 Europe, and I am particularly interested in how the "problem of aging" is conceived and administered.